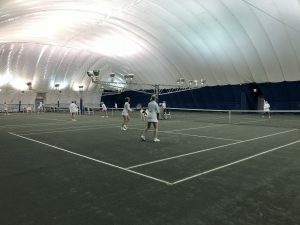 “On Saturday June 8th, the Toronto Lawn Tennis Club hosted their ninth annual Calcutta in support of the Doug Philpott Inner City Children’s Tennis Fund. Ninety participants gathered to play in a team based round robin format with the goal of raising money, having fun and using their best strategy to become the winning team. The Calcutta kicked off on the Thursday night with food and fun as the participants and other supporters gathered to bid on teams and other exciting live auction items. A total of over $60,000 was raised for charity with $22,000 going to the Philpot fund. The top bidding group bought a team for $9,000. A Wimbledon prize auction package, including tickets to both the men’s and women’s finals, raised $15,000 for Tennis Canada. The Calcutta format puts together groups of three doubles teams with points allocated to each team that can be used throughout their matches. Matches are played with the first team to reach six games and the cumulative of the three teams combined. 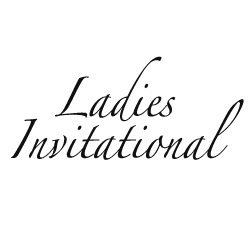 A handicap system helps to even out the strengths and competitiveness of the matches. In addition, the strongest players are only allowed to hit one serve making it an even greater challenge for those who are up for it. The finals came down to a very competitive and evenly matched group with Team Lime captained by Sandra Marston edging out Team Pink, led by Jennifer Bishop, by only 2 games. The owners of the winning team took home just over $13,000 with the owners of the finalist pocketing $5,700. The Doug Philpott Fund wishes to thank the Toronto Lawn Tennis Club including Simon Bartram, Tennis Director and the Calcutta Committee and all the members of the club who participated and supported the teams and allowing us to be a part of this wonderful experience. We look forward to seeing everyone again next year.